Life Insurance. Those two words bring up a number of questions to the average person. We are pretty sure we need it, but we aren’t always sure exactly how much we need, what type we need, how it affects our taxes, and which companies are the best to choose from. A recent MSN Money news article explains why having a good handle on this information is so important. We have chosen five of these Myths to discuss on our Blog today. Myth: If I’m single and don’t have dependents, I don’t need coverage. Even single people should have at least enough life insurance to cover the costs of personal debts, medical and funeral bills. If you are uninsured, you may leave a legacy of unpaid expenses for your family or executor to deal with. Plus, this can be a good way for low-income singles to leave a legacy to a favorite charity or other cause. Myth: My life insurance coverage needs to be twice my annual salary. The amount of life insurance you need depends on your specific situation. There are many factors to consider. In addition to paying medical and funeral bills, you may need to pay off your mortgage and provide for your family for several years. A cash-flow analysis can help determine the amount of insurance you need. Myth: My term life insurance coverage at work is sufficient. Maybe, maybe not. For a single person of modest means, employer-paid or -provided term coverage may actually be enough. But if you have a spouse or dependents, or know that you will need coverage upon your death to pay estate taxes, then additional coverage may be necessary. Nonsense. The cost of replacing the services formerly provided by a deceased homemaker can be higher than you think, and insuring against the loss of a homemaker may make sense, to compensate for cleaning and child-care costs. Myth: I’m better off investing my money than buying life insurance. Not True. Until the value of your assets exceeds your debt, you need life coverage of some sort. Once you amass $1 million of liquid assets, you can consider discontinuing (or at least reducing) your million-dollar policy. But you take a big chance when you depend solely on your investments in the early years of your adult life, especially if you have dependents. If you die without coverage, there may be no means to provide for them after your current assets are depleted. 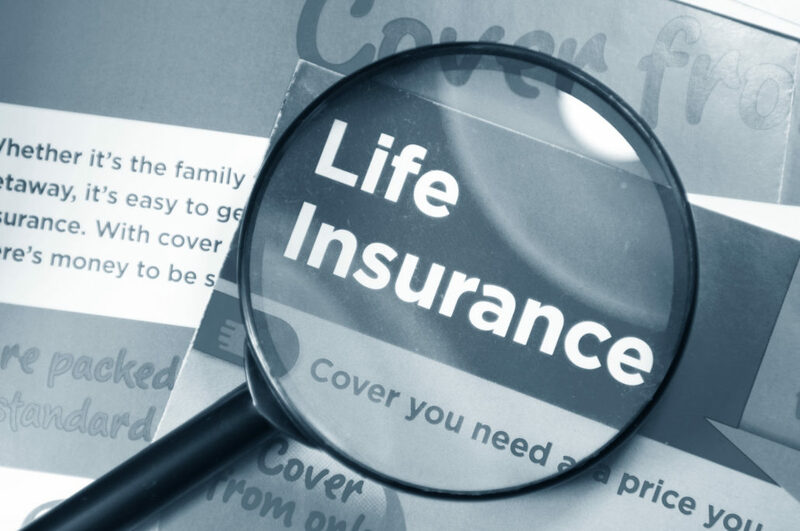 The Bottom line is that there are many, many misconceptions about Life Insurance. Considering how vitally important it is to understand such a critical part of financial planning, the best option is to seek advice from a Licensed Advisor. As one of our previous articles has explained, (http://cswta.wordpress.com/2012/09/11/working-with-your-best-interests-in-mind/) the right Financial Advisor can guide you in your decision making process, completely free of charge! Cornerstone has these such representatives at branches across the Nation, who will visit you in your home for a financial analysis at your convenience. Another article on MSN Money gave a great comparison of the best A-rated insurance companies around. (http://money.msn.com/life-insurance/best-life-insurance-companies.aspx) Cornerstone is proud to work in affiliation with seven of the companies featured in the article, plus more than 150 other top-rated Insurance providers. Contact us today, set up a free Financial consultation, and make sure that you are on top of your responsibility to stay educated about your options in this ever-changing industry.